Situated on a quiet street in the Saint Germain des Prés district, our charming three-star boutique hotel offers a modern design and friendly atmosphere. As you step into our lobby, admire the superb murals painted by contemporary artists André and JonOne. 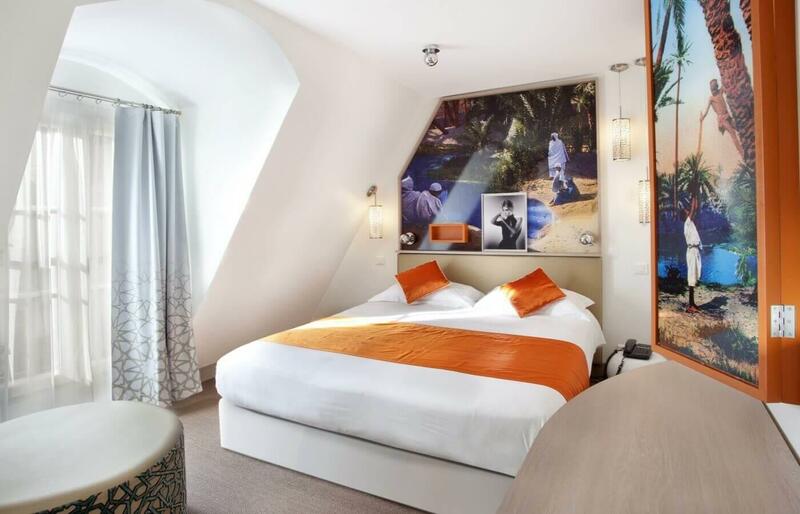 We boast 24 well-appointed guest rooms with air conditioning and a fully-equipped apartment so you can make our “home” your home during your stay in the City of Light. For information our establishment is not equipped with rooms for people with reduced mobility.